Take time out - have fun with the family! 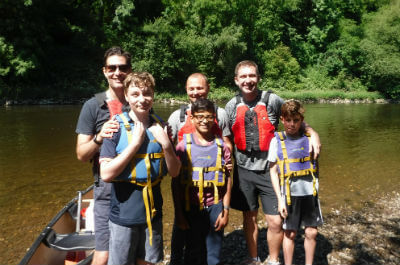 We welcome many families to the Forest of Dean and the Wye Valley - the great thing about our activities are that they all take place in the great outdoors and are loved by children and grown-ups alike! There's nothing to stop the grandparents joining in (we've had plenty of more mature participants) and, shock horror, those reluctant teenagers who are usually glued to their mobile devices will also have a lot of fun! We know what it's like, we've got children ourselves and it can be tricky to please everyone at the same time. Our activities are the perfect excuse to get away from your normal routine, experience something new together, probably get a little competitive, and discover the joy of spending quality time as a family. Our activities are a half-day in duration, which is usually enough for younger members of the family. 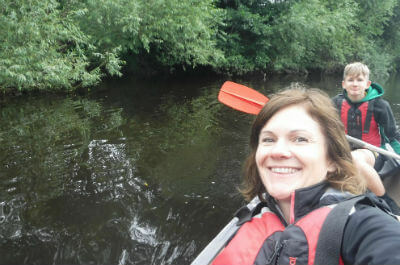 If you're in the area for a few days why not come back and try a different activity! 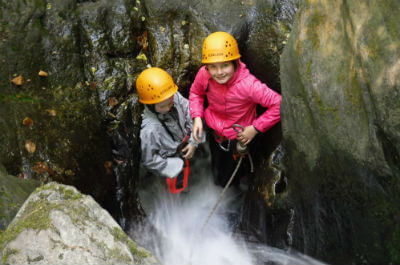 For safety reasons, the minimum age for most of our activities is 8 years old (sorry to any littlies - your day will come!) with no upper limit. So please do come and have a go! For availability or to book any of our activities, please call us on 01600 891515 or send an email.